Kim and Kanye Wedding; JayZ and Beyonce Did Not Show Up? So word on the street is that JayZ and Beyonce are currently in the Hamptons meaning they did not fly to Italy for Kanye’s wedding. 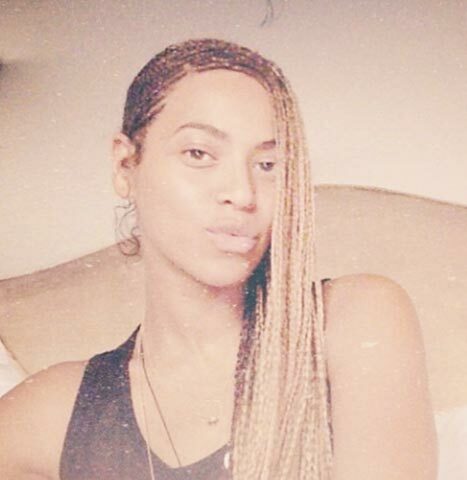 Beyonce shared this selfie below on Instagram while the ceremony was going on. Does it really matter if they attend or not? I do not think so. Considering the fact that the pre-wedding is being taped for reality TV, plus the recent drama they went through, one can understand why they would not show up. As long as the bride and groom are happy, that’s what really matters. The other theory could be that they are there secretly and just did not share pictures or wish to be photographed. The wedding was everything Kim could have wanted and more so that should be the point of focus. I am sure they knew ahead of time who will and won’t show most especially because Kanye and JayZ are quite close and not everyone would want to be part of the whole reality TV thing. Anyways, JayZ and Beyonce or not, I am happy for the couple and hope their marriage lasts a very long time. Next 1st Picture of Kim Kardashian in her Wedding Dress; SO GORGEOUS!! I do not think it really matters at the end of the day.